Nearly two decades after releasing his self-titled debut, Usher remains a best-selling and visionary artist, who is always looking for unique ways to evolve’a creative aesthetic perfectly captured by the title of his seventh studio album Looking 4 Myself. 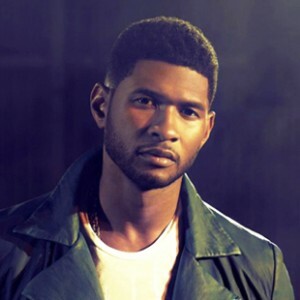 During the recording process, Usher had motivational signs in the studio with the sayings: ‘Expect the Unexpected,’ ‘Awkward is OK,’ ‘Evolve or Evaporate’ and ‘Musical Immortality.’ One place the seven-time Grammy winning R&B artist’whose full name is Usher Terry Raymond IV–can always find himself is on the pop and R&B singles chart. The new album’s two gold-selling lead singles ‘Climax’ and ‘Scream’ follow two multi-platinum collaborations this past year’the #1 pop hit ‘Without You’ (with David Guetta) and ‘Promise’ (with Romeo Santos), which hit #1 on the Latin charts. True to the mission statement of the new album’s title, Looking 4 Myself, Usher takes some bold steps into previously uncharted musical territory that the singer has described as ‘electric soul.’ Assuming the most active role of his career as a songwriter, and working with a wide range of producers and collaborators’including Diplo, Rico Love, Swedish House Mafia, Max Martin, Pharrell, Salaam Remi, will.i.am, and Luke Steele of Empire of the Sun’the singer blends trippy electro dance beats with his signature, era-defining R&B, pop, and hip-hop sounds to create a style that transcends easy categorization. ‘It’s the next chapter of my story,’ Usher says, ‘and with every album I try to be mindful of the audience I have spoken to for many years, along with new fans who have joined the party along the way. The things that motivated me this time were sounds and music that were very new and indie, like going to the Coachella festival or to Ibiza. I’ve traveled the world, toured nearly every continent’this phase of my life and my career is very open to exploring.